How can I prove paternity? Do I need a lawyer to accomplish this? If you are wrestling with any of these concerns, we highly recommend retaining legal counsel today. The Long Island family law lawyers at the Law Offices of Paul A. Boronow, PC have assisted hundreds of individual paternity cases throughout Long Island and the Greater New York City metro. We will work tirelessly on your behalf and ensure the best possible outcome for your family. Call (516) 227-5353 to schedule an appointment with one of our experienced attorneys today. 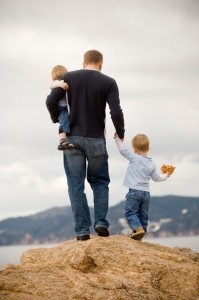 While establishing paternity can be a relatively easy process, it rarely is. One must successfully obtain an Order of Filiation. An Acknowledgement of Paternity is a straightforward agreement that both the mother, and father in question enter into willingly after the child is born. By signing the document, the father accepts legal responsibility of the child, and all aspects of fatherhood, as if the couple were married. However, if there are any doubts as to the father's legitimacy or if he is unwilling to sign an acknowledgement, an Order of Filiation must be obtained. In New York, this is accomplished through Family Court. To obtain an Order of Filiation, the interested party must first file a paternity petition, after which, the Family Court overseeing the case will order a DNA test. These tests are extraordinarily precise and can ascertain an individual's paternity within a 99 percent certainty. Should the test return negative, the petition will be dismissed. However, in the event of a positive outcome, the father in question still has the right to a hearing in order to examine additional evidence. However, despite this, most individuals waive their right and accept the court's findings. At this point, most paternity proceedings automatically convert into child support hearings. Why Should I Hire A Long Island Paternity Rights Attorney? More often than not, families must tackle a number of different claims and assertions before a petition can even be filed. For this reason, it is important to speak with a family law firm that fully understands what you are up against and how to accomplish your goals. Nassau County paternity rights lawyers at the Law Offices of Paul A. Boronow, PC have been handling paternity cases for over a decade and have the experience you need to make well informed decisions about your family's future. For more information or to schedule a consultation, call (516) 227-5353 today. Why Do New York Parents Seek Paternity Testing? Nassau County Paternity Rights Attorney Disclaimer: The legal information presented at this site should not be construed to be formal legal advice, nor the formation of a lawyer or attorney client relationship. Any results set forth herein are based upon the facts of that particular case and do not represent a promise or guarantee. Please contact an attorney for a consultation on your particular legal matter. This web site is not intended to solicit clients for matters outside of the state of New York.